Ok, I’ll admit it: I was a Shakeology skeptic. That is, until I tried it for myself. Here’s some straight talk about the benefits, nutrition, ingredients and expense of Shakeology. When I first started doing challenge groups more than a year ago, there were a bunch of people doing Shakeology for breakfast everyday. It not only seemed boring (the same thing for breakfast EVERY DAY??) but we were all so focused on healthy clean eating… How could something so… Not only not whole but….powdered actually be healthy? I was eating some great healthy breakfasts (Greek yogurt oatmeal parfaits, mini omelets) why change a good thing? Then I decided to buy my first Beachbody workout, Focus T25. I learned the challenge pack was on sale which meant for the price of a one month supply of Shakeology, I would also get T25 essentially free. So I decided to give it a try and see if it really did what they said it would do: reduce food cravings, help build muscle, and aid in digestion. Well first off, it was delicious. I got the chocolate and it seriously tasted like a chocolate milkshake… But not so rich that it would be too much for the morning. And, well, it really did satisfy my cravings. Those who work in my office know that we have a chocolate “drawer” — yes, and entire drawer filled with any treat you can image (I guess it sort of makes sense when you figure the candy for the candy dish would need to come from somewhere!) 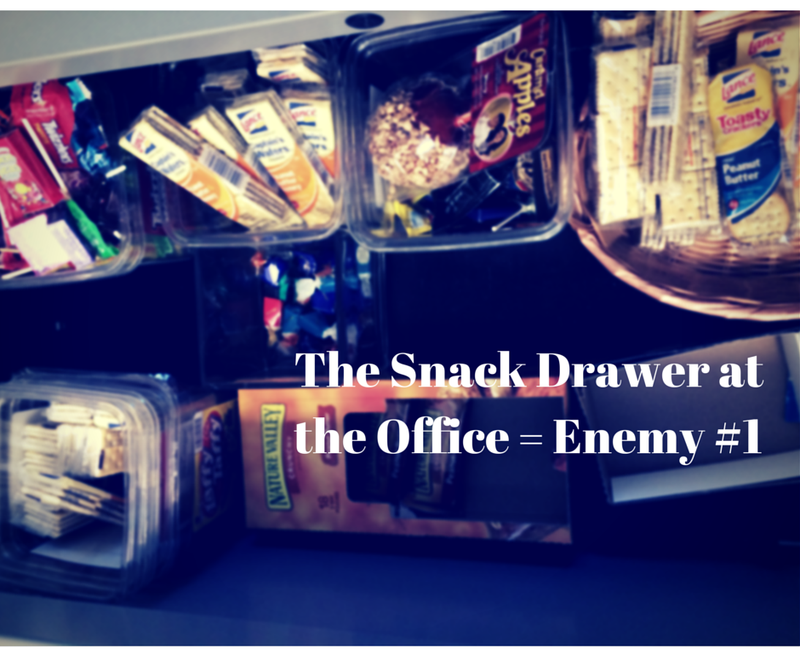 That said, the chocolate drawer was my enemy. It was located just past my office on the way to the bathroom and water cooler. Anytime I got up from my desk it was calling my name. Some days, I’d grab a handful of Hershey minis. Other days I’d be more selective and choose one dove dark chocolate. Then there were times when I would announce to everyone within earshot that the chocolate drawer was “off limits” and as of that moment they should feel free to use physical force to keep me out of the drawer. A co-worker came up with a code word, “banana,” which she would yell every time she saw me going in the drawer. It was meant to remind me that I didn’t want that chocolate. Or, maybe I wanted that chocolate but I wanted to be fit more. It didn’t work. I spent a lot of time in that drawer. This is going to sound completely hokey but when I started drinking Shakeology the drawer stopped calling my name. It’s like it realized we were never ever getting back together. It wasn’t immediately at first sip but over time these cravings decreased. I didn’t even notice it happened until I think back on it because it wasn’t a conscious decision. The drawer stopped harassing me and I stopped letting it control me. As far as after dinner temptation, I’m more of a wine person. Occasionally, though, the kids’ dessert would tempt me and I’d pig out. Now that I’m on Shakeology I know that a delicious chocolate shake is just one sleep away. This makes those little missteps easier to pass up. As my daily breakfast, Shakeology actually fills me up until my mid-morning snack. This shocked me. All this time eating hearty heavy breakfasts, I could have this shake on the go and actually be satisfied for a few hours. That’s the main difference between Shakeology and a lot of smoothies. To get the amount of protein and other nutrients as in Shakeology you need to be adding a lot, actually a ton, of other ingredients to get the same level of nutrition as one Shakeology. But more about nutrition in a minute and back to my morning benefits. I stopped needing coffee. Fast forward to college to more recent years. I used to have a couple of cups of coffee at home before leaving for work plus a travel cup along for my commute. Once at work, I would drink coffee until noon then switch to water. Something happened when I started having Shakeology for breakfast. It was not intentional but my coffee intake decreased. I looked forward to my morning shake even while drinking my first small cup of coffee. I always have my Shakeology before my second cup of coffee. Sometimes I didn’t want or need a second cup! I could move right onto water from my shake. Check out this hilarious video with Tony Horton of P90x fame checking out a customer at the grocery store who is buying all the individual ingredients to make something equivalent to Shakeology. Which leads me to price. So now to the less measurable data – how I felt and how my body looked! Now I can’t attribute all of this to Shakeology because at the same time I was working out a few to several times a week, cutting out alcohol beverages and eating very clean… But I felt great. More stamina in my workouts, while not losing weight at first I was getting smaller (more muscle!) and overall feeling great. I was also having a skin irritation that wouldn’t go away even with cutting out makeup and using sensitive skin care. It cleared up within 3 weeks of starting Shakeology. And I won’t go into too much detail here but became more “regular”. ‘Nough said. So what are you waiting for? It’s backed by Beachbody’s money back guarantee! Contact me for a free sample and you can taste it for yourself! Steph – what do you put I your shake? If it’s jnly Shakeology and something like pb2 it really does taste good just shaken with ice in a blender cup. the blender cleaning was my annoying for me too!